The Tow Grip 101 Winter features an industrial-strength cotton palm, water-resistant insulation, and back-of-hand impact resistance for the non-drilling positions on the rig in the coldest of climates. 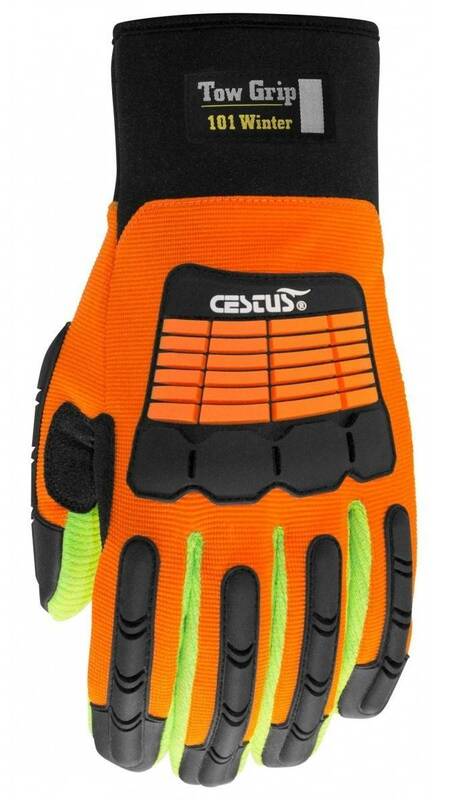 The industrial-strength, one-piece, padded cotton palm gives the user high dexterity for uses like operating machinery, and is reinforced with double stitching. 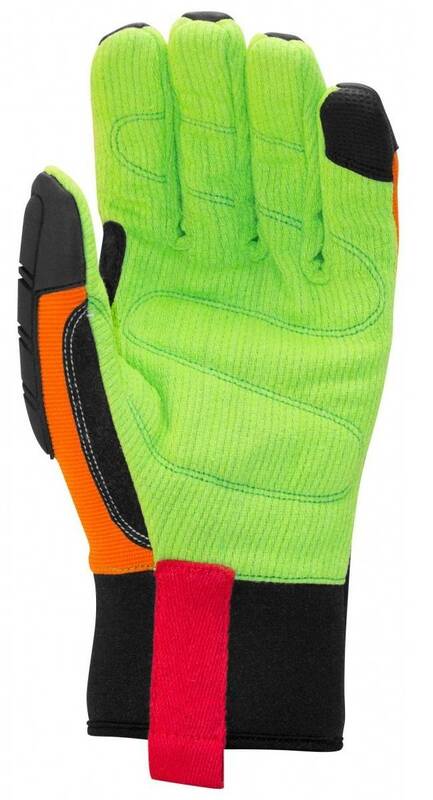 3MTM ThinsulateTM and a Hipora® liner ensure hands stay warm and dry when working in cold weather. Flexible Thermoplastic Rubber (TPR) shields on the back of the glove add impact protection that bends with the fingers, and offers continuous protection from finger tips to metacarpals. Hipora Liner: Breathable, waterproof barrier that keeps hands dry. Industrial-Strength, Dual-Layer, Padded Cotton Palm: Gives user dexterity for operating machinery or other uses on top of durable and breathable cotton. Flexible TPR Shields: Full back-of-hand protection for back of fingers down to the fingertips, thumb, knuckles and metacarpals. Kevlar Double Stitching: Adds durability and longevity to palm. 3M Thinsulate Liner: Ensures the hand stays dry and warm in cold weather, without sacrificing flexibility.